Combining influences the 1920s and the 1940s, this smoky crystal side tiara is glamorous and dramatic. This vintage-inspired floral side tiara is a treasure. 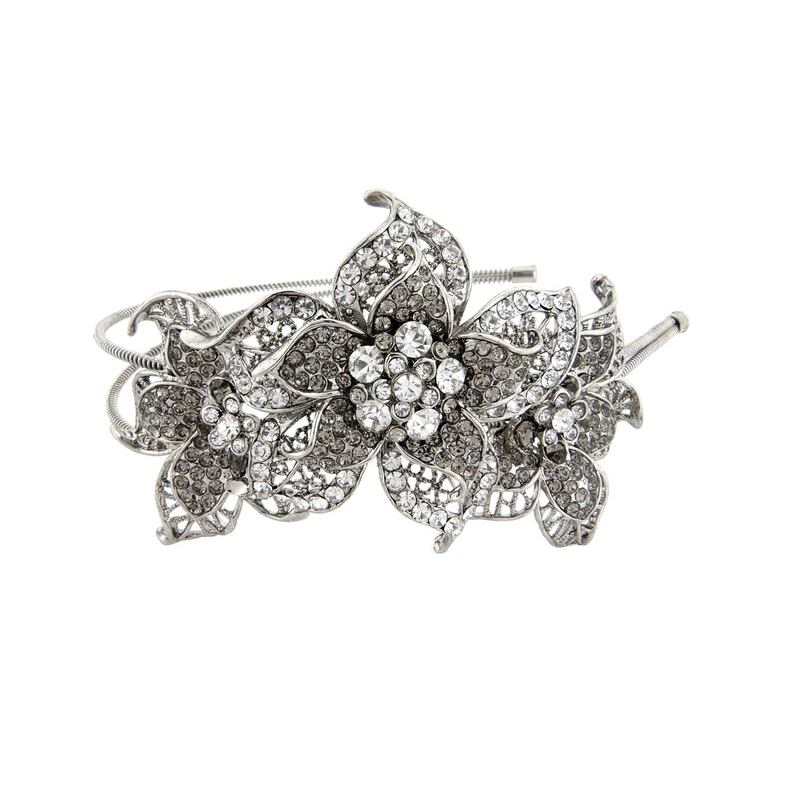 Featuring a layered floral adornment encrusted with clear and smoky Austrian crystals, set on a double antique silver tone band for authentic aged style, this side tiara combines 1920's drama with 40s Hollywood glamour. An exquisite hair accessory which will look beautiful adorning romantic curls or an up-do. Brides who adore the drama of statement vintage wedding side tiaras will love Antique Sensation Side Tiara. 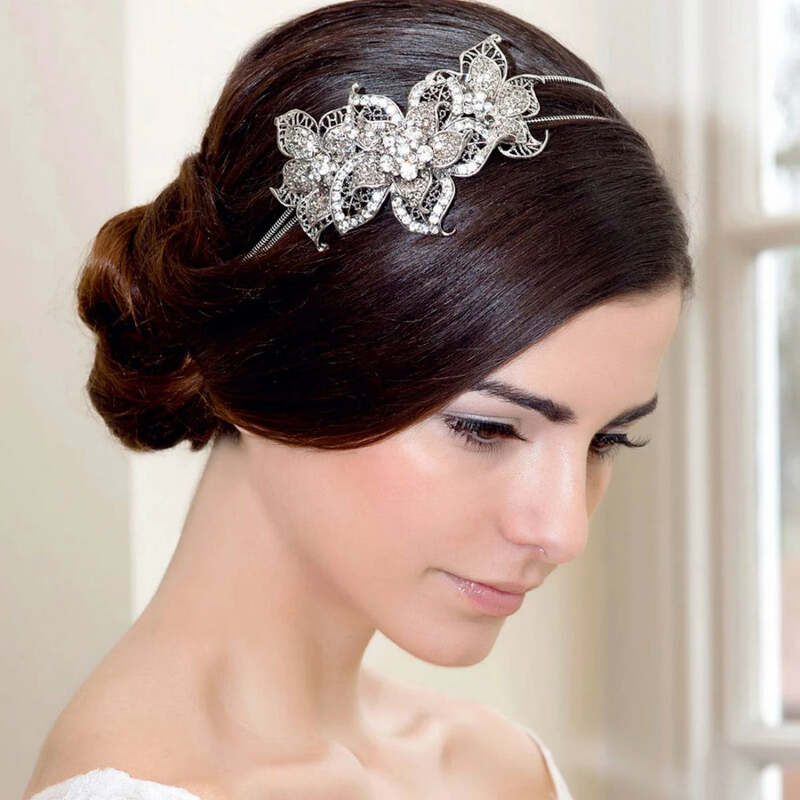 With show stopping and romantic style, it's a headpiece which could easily be mistaken for a precious heirloom. Coordinate with a smoky cuff and earrings for antique style.